If there’s one question I get asked most from followers on Twitter, or through email, these days it’s “When’s so&so device going to get Android 4.4.2?” Yesterday, we heard that Samsung had promised to launch KitKat to a whole bunch of Galaxy devices over the coming days and weeks. Today, it’s HTC’s turn. Over on Twitter, HTC’s Jason Mackenzie confirmed that the KitKat update would be coming to Magenta-flavored One’s this week. By no means is this an official press release by HTC, but it’s unlikely that a HTC employee could be so clear about an update release unless it was happening. If you spot the update on your HTC One over the next couple of days, be sure to let us know. Tweet me: @TiP_Cam or send an email to cam@tmonews.com. Exactly. It’s sad that you won’t have stuff that you didn’t have before, that you were not promised, and did not pay for. Sad indeed. So you wouldn’t mind if your version of Windows or OSX never received any updates? And you needed to purchase a new OS ever time there was an update to the software? Nope. Would not mind at all. I also don’t mind that my tv, microwave, and car don’t receive updates either no matter how snazzy the new versions are because they didn’t have the features when I bought them. If you want something that’s continuously updated, then buy a subscription. So your argument is that you can go from Windows 7 to Windows 8 or from OS X to whatever their current iteration is (Mavericks? ), for free? Really? Nonsense. When we purchase new smartphones, we expect them to be updated for at least 18 months (as per Google). As far as I’m concerned, the cost of updates is built into the price of the phone. Stop being an apologist. I highly doubt anyone will get a potential 4.4.3 update other than the Nexus devices. I got the notification a few days ago, but I’d rather stay rooted. Jason Mackenzie also tweeted “this week” on February 12th, 2014, which was LAST week. Yeah, but it is T-Mobile now which has it, so it is not in he’s control. Huh, heard this before, has not happened yet…mine still says “Your phone is up to date” “There are no updates available for your phone” and it’s said that since last Oct. 21. Isn’t the CEO the “Empolyer” and not the “Employee”?? No,ceo of any company is just the hignest pay employee,unless they own the company,too. President of Htc of America,that means he can get fired,just like any employee. +1000. I swear the ignorance of some people. My goodness this blog as fallen – and fallen hard. Jason Mackenzie is “an employee?” He’s the president of HTC America. … And what’s your smart definition of an “employee”, kind sir? The part that you refer to Mr. Mackenzie as a simple employee. We all know that every person who works for an organization is an employee, but we are not talking about that. Usually when you refer about a CEO or a high executive as a simple employee, it is like he is no one in the company. That is a lack of respect. He is not just any employee, he is the President of HTC America, you should refer to him as someone who really has power in the company. He’s still an employee. Who the eff cares? I have no idea why this is even an argument. You guys still don’t get it, still discussing with dumb arguments. Not the original pint. So I’m going to let you alone. By the way you can take a look at Google’s definition of employee. So he is indeed an “employee”, but an important “employee”? …and I’m the one with the dumb comment? Wow! An employee is someone who works for wages or salary. Especially at the non-executive level. (Not my definition, Google’s). Yes, you do! He is EXACTLY that…an employee! Call him C-Level or an executive employee if it makes you feel good. He doesn’t own HTC, and he is indeed working and getting paid a wage. Tim Cook is an Apple employee, John Legere is a T-Mobile employee, Marissa Mayer is a Yahoo! employee. They ALL earn wages! It is Wednesday. Not a lot of ‘week’ left. But I did read (elsewhere) that Friday is the launch, probably a soft launch to ramp up as they get past the brick testing. to be fair it’s not just Android T-Mobile has a problem updating. I’m sorry, is this English? What’s up with 4.4.2 for the LG G2? my htc one migrated to the 4.4.2 version yesterday. I guess that means Spring is coming. Mine did on Tue, though my phone isn’t tied to T-mobile so not sure if that makes a difference or not. Really not liking that white battery symbol that replaced the colored one though. Not sure what is the caption (accessible) for?? I cant change the Lock Screen Picture on Android 4.4.2 (HTC One)!! The Home Screen and Lock Screen using the same wallpaper. How can I change the Lock Screen picture different from Home Screen Picture?? McKenzie does not know. He want to be transparent but he can’t since TMO is the culprit. Early last week McKenzie told me “matter of days”, Last month he was saying end of Jan. Then he said 1 or 2 week delay. Other carriers have gotten it out. Good Phone but I am moving on to Nexus (new carrier) so I do not have to deal with this crap again. Why is anyone surprise about this update taking so long,if at all. that never did,MyTouch 4g,The G2,(minor up date2.3 to 2.4)The Sen. The Amaze,MyTouch 4g slide, did I miss any? HTC has done a spectacular job of updating it’s phones in the last year. Sprint and Verizon already have this update. Stop complaining about the past. I did forget the HTC window phones,and the HTC one S,never got any updates either.These phones came out less than 2 yrs. Still no software update from T-Mobile. i guess this week could count as 11:59 PM on Saturday night. You guys seem to forget that it’s not T-mo’s bloat (there is minimal) but they have wifi calling that gets integrated and other carriers do not. and integrated wifi calling is excellent. i first got the dev edition of the M7 which didn’t have wifi calling and returned it immediately. T-Mobile updated their MyAccount app today. Does that count as this week? 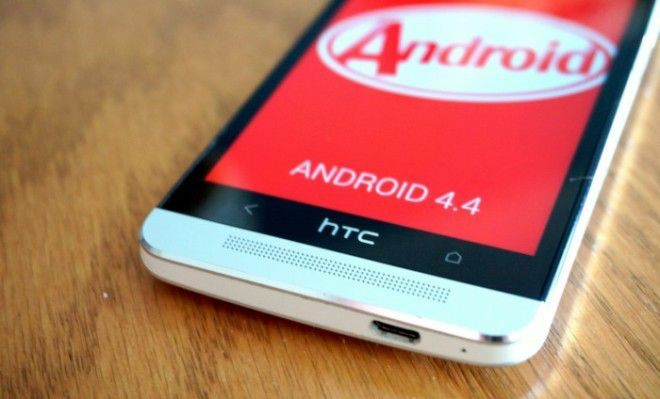 Still waiting…All the hype on the next generation of “One” has me wondering if they (HTC) care about update at all. Tmo always seems to be one of the last to receive HTC updates. Inferior technology? HTC has released the update, they’ve done their part. This is entirely on Tmobile. The launch of the M8 has absolutely nothing to do with Tmobile not releasing the update. Sprint and Verizon already have the update and have pushed it to the their users.You dont seem to understand the update process very well. Tmobile’s tech isnt inferior, they’re the only carrier that has wifi calling. And we arent last to receive the update. All the carriers have the update. They have to certify it before it gets pushed to us. Update: Sprint now has wifi calling as well, but for only 2 Samsung devices Galaxy Mega and the GS4 Mini. Won’t up all excited for playing with 4.4 today and no such luck. Yep. Friday and still no Update. Who’s at fault here, Mr. Bunton? Tell us? One thing to be a party to a hyped twitter release, and a presenter of news and insight, huh? Tomorrow is the last day of the week and if it doesn’t happen then it better happen next week. Doesn’t Jason have an obligation to say something. What about the author. Doesn’t he have any input. Not sure I like the mandatory kid mode feature. Have to go in every time to use web? Problems with Adobe Flash now anyone? Wtf? Didn’t have playback problems before. Even YouTube. Tried on my MYTOUCH4G and it is already UPDATED! WOOOOOOOOOOOH! Downloaded 4.4.2 on my T-Mobile HTC ONE an hour ago. Still backing up and preparing! Just downloaded 4.4.2 as well! But I thought it was supposed to come with the new version of sense wasn’t it? Downloading now. Will report my findings good or bad. In terms of speed, phone feels the same. Gallery has changed.Not bad or good, just changed layout. No big deal. What I did notice is that I think we lost LOCK SCREEN options. I can’t find anyway to change how my lock screen acts, i.e., music, productivity, etc. I was able to turn off blinkfeed…thank goodness. Still playing around with it. Can’t display gallery in Blinkfeed even though it’s added and selected. Wish I had known that flash was being removed. I cannot remove the lock screen on wake up now, no matter what options I pick in security. is anyone ele having this issue since the upgrade? same here. Disconnecting from wi-fi, having sync issues. no connectivity at all. Has anyone experienced sync issues with KK 4.4.2 on HTC One? Just noticed this a couple of days ago that when I disconnect from Wi-Fi, the sync icon continues to run but does not finish at all and I lost connectivity to anything. It also makes the phone a little hot. Would love to hear any solution to this issue. Your carriers are the one who provide the update OTA. So in order to prevent users from overloading the network they push the update OTA in batches. The simply provide a set of users the ability to update their OS. Once a percentage of users apply the update. They make the update available to the next batch of users base on the devices IEMI/MEID depending on carrier, and the cycle continues from there. However if someone obtains the carrier update, the can transfer the apk of the update file if they have the same phone model and carrier, via file transfer. Oh if someone was kind to update their copy to the internet, you can download the apk. and update from the file at anytime.